Nationalism is a political ideology with strong identification of a group that is defined in national terms. Nationalism is said to have two argumentative origins. One is that nationalism is a recent creation that required the structural conditions of modern society. The other is that it is a natural element of humans to reflect and perceive through organized, distinct groups, which can be based on birth. Nationalism emphasizes that people are autonomous, united, and expressed as a single national culture. Symbols like national flags and national anthems are sometimes seen as sacred. Before Nationalism, in Europe people were loyal to a city or a leader, not a nation. The Encyclopedia Britannica identifies nationalism with the American Revolution and French Revolution. Some historians say that it is specifically from the ultra-nationalist party in France during the French Revolution. 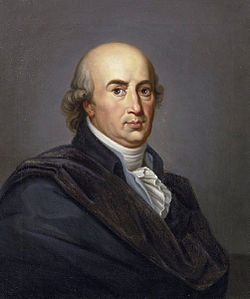 The term nationalism was made by Johann Gottfried Herder in the late 1770's. The specific time and location in which nationalism emerged is difficult to tell, but it was closely related to the modern state and popular sovereignty, which surfaced in the American and French Revolutions. Since its creation, nationalism, has become a strong political and social force. It was a major influence in WWI, WWII, and fascism. Fascism is a authoritarian nationalism that pushes absolute loyalty and obedience to the state, which in returns serves the interests of its nation. 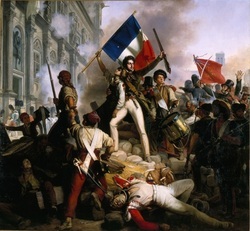 The French Revolution and its byproducts basically created the modern concept of nationalism in Europe. With the execution of Louis XVI, the previous tools for unification in France such as loyalty to a king became impossible. Instead, what emerged was the belief that the French people, with their ideologies, ethnicities and constitution, were worth fighting for. And the strength of the bonds of nationalism was put to the test almost immediately, as nearly every state in Europe declared war on France because of the execution of the Bourbons. It was with this sense of pride in their nation that the French strengthened their military and invigorated their populous. Popular nationalism soon became the norm as French ideas of "liberty, equality, and brotherhood" spread across the continent. States began to re-draw their political lines. Multi-national empires were soon in steep decline. A widespread national awakening grew out of an intellectual reaction to the Enlightenment ideas that emphasized national identity. This resulted in a romantic view of self-expression through nationhood, and increased political unity. According to G.W.F. Hegel of Germany, a sense of nationalism was the cement that held modern societies together in the age when dynastic and religious allegiance was in decline. It was this same sense of vigor that later allowed Napoleon to replace the Republic with the First French Empire. This form of militaristic nationalism, however, ultimately fostered national hatred and conflict.